I have to admit that I am kind of a geek about militaria and weaponry but in order to understand the broad brush aspects of history one also has to know something about detailed facts. So anyway, here is a section or one of my yet to be published books. This section deals with the advances in weaponry that made the American Civil War and subsequent wars so much more deadly. While various individuals and manufacturers had been experimenting with rifles for some time the weapons were difficult to load as the rifled groves slowed down the loading process. The British pioneered the use of the rifle during the Napoleonic Wars and the War of 1812. The issue of the Baker rifle, a rifled flintlock which was accurate to about 300 yards was limited to specific Rifle Regiments which were considered elite units, as well as skirmishers in some other regiments. The soldiers assigned to the Rifle regiments wore a distinctive green uniform as opposed to the red wore by the rest of the British Army. When the United States Army formed its first Sharpshooter regiments in late 1861 under the command of Colonel Hiram Berdan. Like the British the men of the regiment as well as the 2nd Regiment of Sharpshooters wore a distinctive green uniform instead of the Union Blue. 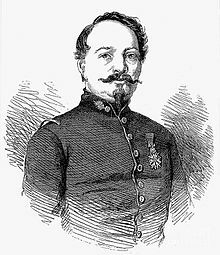 In was not until 1848 when French Army Captain Claude Minié who “perfected a bullet small enough to be easily rammed down a rifled barrel, with a wooden plug in the base of the bullet to expand it upon firing to take the rifling.” Unfortunately the bullets were expensive to produce and it was not until in 1850 an American armorer at Harpers Ferry, James Burton “simplified the design that had made Minié famous and developed a hollow based, .58-caliber lead projectile that could be cheaply mass-produced.”  Burton’s ammunition was very easy to load into weapons, and soldiers were able to drop the cartridge into the muzzle of their rifles as easily as they could musket balls down a smoothbore. During Napoleon’s time assaulting an opponent with a large body of troops was a fairly easy proposition, one simply maneuvered out of the rage of the enemy’s artillery and muskets, thus “to bring a heavy mass of troops upon them was possible because of the limited destructiveness of smoothbore firearms. Their range was so restricted that defenders could count on getting off only one reasonably effective volley against advancing soldiers. By the time that volley was unloosed, the attackers would be so close to their objective that before the defenders could reload, the attacking troops would be upon them.”  One of Napoleon’s favorite tactics was for his troops to make well executed turning maneuvers aimed at the enemy’s flanks, but the increased range and lethality meant that even when such maneuvers were executed, they often produced only a short term advantage as the defenders would form a new front and continue the action. Yet by 1860 the rifled muskets had an effective range of about 500 yards and sometimes, depending on the type of weapon even more, but in most cases during the Civil War infantry engagements were fought at considerable shorter ranges. Paddy Griffith notes that even in the modern era long range firing by infantry units is still rare, and that there is “a fallacy in the notion that longer range weapons automatically produce longer-range fire. The range of firing has much more to do with the range of visibility, the intentions of the firer and the general climate of the army.”  Drew Gilpin Faust wrote that Civil War battles still “remained essentially intimate; soldiers were often able to see each other’s faces and to know who they had killed.”  They knew their weapons could fire at longer range, and one Union soldier explained, “when men can kill one another at six hundred yards they would generally would prefer to do it at that distance.”  But for the average infantryman such occasions were the exception. However, in 1855 the new Secretary of War, Jefferson Davis ordered the Army to convert to “the .58 caliber Springfield Rifled Musket. Along with the similar British Enfield rifle (caliber .577, which would take the same bullet as the Springfield), the Springfield became the main infantry arm of the Civil War.”  Even so the production of the new rifles was slow and at the beginning of the war only about 35,000 of all types were in Federal arsenals or in the hands of Federal troops. The one failure of Union Chief of Ordnance Ripley was his “insistence in sticking by the muzzle loading rifle as the standard infantry arm, rather than introducing the breach-loading repeating rifle.”  Ripley believed that a “move to rapid fire repeating rifles would put too much stress on the federal arsenals’ ability to supply the repeaters in sufficient quantities for the Union armies.” There is a measure of truth in this for troops armed with these weapons did have the tendency to waste significantly more ammunition than those armed with slow firing muzzle loaders, but had he done so the war may not have lasted nearly as long. 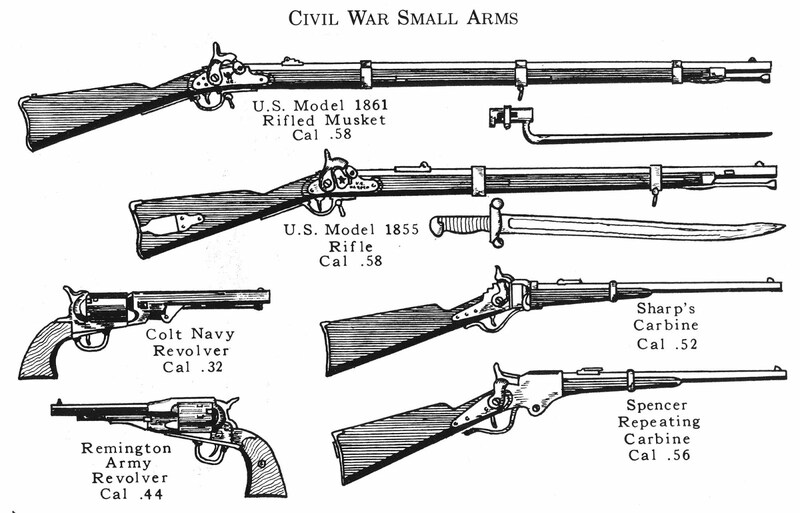 During the war both the Union and Confederate armies used a large number of shoulder-fired rifles and muskets of various manufactures and vintage. This was in large part because of a shortage of the standard M1861 Springfield Rifled Musket at the beginning of the war and initially standardization was a problem, and as a result many units went to war armed with various types of weapons which made supply, training, and coordinated fires difficult. At the beginning of the war, the Federal government had only about 437,000 muskets and rifles in its inventory, and only about 40,000 of these were rifled muskets, either older weapons converted from smoothbores or the newly manufactured Springfield rifles. The disparity of types of weapons that might be found in a single regiment contributed to difficulties in supplying ammunition to them, and proved to be nightmarish for experienced quartermasters. This was especially the case when the amateur quartermasters of many regiments did not specify exactly what types of ammunition they required. The number of kinds of weapons that a given unit might be equipped was difficult for commanders and logisticians on both sides. For example, Sherman’s division at the Battle of Shiloh “utilized six different kinds of shoulder arms, with each necessitating a different caliber of ammunition,” which caused no end of logistical problems for Sherman’s troops as well as other units equipped with mixed weaponry. 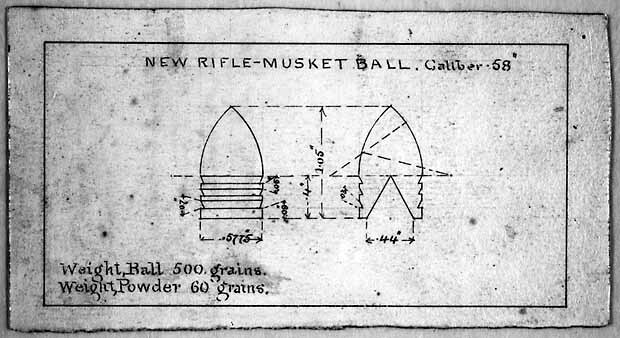 While this increase in range, accuracy, and rate of fire were important, they were also mitigated by the fact that the smoke created by the black, non-smokeless gunpowder powder expended by all weapons during the Civil War often obscured the battlefield, and the stress of combat reduced the rate and accuracy of fire of the typical soldier. This was compounded by the fact that most soldiers received little in the way of real marksmanship training. Allen Guelzo notes that the “raw inexperience of Civil War officers, the poor training in firearms offered to the Civil War recruit, and the obstacles created by the American terrain generally cut down the effective range of Civil War combat to little more than eighty yards.”  That being said well-drilled regiments engaging enemy troops in the open on ground of their choosing could deliver devastating volley fire on their enemies. Despite the increased range of the rifled muskets many infantry firefights were still fought at closer ranges, usually under 200 yards, not much more than the Napoleonic era. Much of this had to do with the training of the infantry as well as visibility on the battlefield which in North America was often obscured by heavy forested areas and thickets in which armies would battle each other at close range. Battles such as the Seven Days, Chancellorsville, and much of the Overland Campaign were fought in such terrain. This was demonstrated time and time again throughout the course of the war as commanders attempted frontal assaults on such positions. “The only way to impose heavy enough casualties upon an enemy army to approximate that army’s destruction was to accept such heavy casualties oneself that no decisive advantage could accrue.” Lee’s assault on Malvern Hill and his numerous frontal assaults on prepared positions at Gettysburg, Burnside’s ghastly assaults at Fredericksburg, Grant’s first attack at Vicksburg, and Grant’s ill-advised attack at Cold Harbor demonstrated the futility and ghastly cost of such tactics. The ability of infantry in the assault to “rise up and deliver a frontal attack became almost always futile against any reasonably steady defenders. Even well executed flank attacks tended to suffer such heavy casualties as experienced riflemen maneuvered to form new fronts against them that they lost the decisiveness they had enjoyed in the Napoleonic Wars.”  During the Wilderness Campaign battles were fought for hours on end at point blank range amid heavy woods and fortifications. Despite the fact that leaders knew about the increased range and accuracy that came with the rifled musket, tactics in all arms were slow to change, and “on every occasion, a frontal assault delivered against an unshaken enemy led to failure.” Even at Gettysburg Robert E. Lee would demonstrate that he had not fully appreciated the effects of the lethality of the rifled musket when he ordered Hood’s assault on Federal troops at Little Round Top on July 2nd and Pickett’s assault on the Union center on July 3rd1863. Lee should have learned during the bloody battles of 1862 and early 1863 which cost his army over 50,000 casualties. I find it most interesting and tragic that this increase in firepower, among many other things, was not appreciated by the military leaders of the European powers who went to war in 1914. As a result millions of men died unnecessary deaths.